Talk about a couple of big-money guys with big plans. Republican pace-setter Donald Trump drops this fellow billionaire’s name almost as much as he mentions China. The Trump ally — one of the wealthiest people in the world — has already endorsed the real-estate mogul and accepted a theoretical China-related position in a Trump administration. 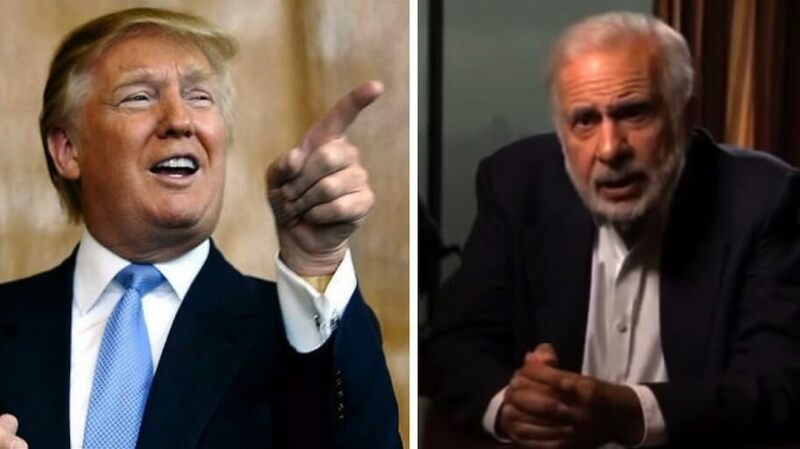 And now, Carl Icahn is launching a new project that could certainly help The Donald in his quest for the Republican nomination. After having battled some of the biggest companies in America, Icahn is taking aim at the federal tax code. He sent a letter to several members of Congress announcing his plan to form a very well-funded super PAC to push for corporate tax reform, something on which Trump has frequently campaigned. Icahn is definitely putting his money where his mouth is, dropping $150 million of his own money behind the tax-reform effort targeting what’s called inversion, or corporate inversion. Corporate inversion is one of the many strategies companies employ to reduce their tax burden. One way that a company can re-incorporate abroad is by having a foreign company buy its current operations. Assets are then owned by the foreign company, and the old incorporation is dissolved. “I believe my own commitment of $150 million to the PAC will be more than enough to make voters fully aware of the horrible consequences that will ensue if Congress fails to pass legislation immediately to stop these ‘inversions,’” Icahn said, according to CNBC.